Visit VeterinaryPartner.com for valuable information written by veterinarians about common diseases and problems in pets. It is often hard to be sure if what you read on the internet is true or just someone's opinions. You can trust the information on this site. And please don't hesitate to make an appointment today to talk to us about your concerns. Click here for information on the importance of yearly exams and what we look for when we do these exams. 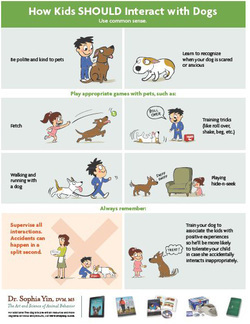 This site also has valuable tools for helping your pet stay healthy. ﻿What bothers you most? When your pet scratches so much his rattling tags keep you up all night? Is it the “thump, thump, thump” of her back leg on the floor that makes sleep impossible for you both? Or maybe it’s just knowing that your best friend is miserable because he can’t get comfortable? The majority of pets don’t have fleas – but many have been bitten because fleas are everywhere! 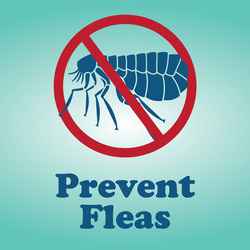 Fleas live outdoors in warm weather. They can live indoors too– even in really clean homes – year-round in any climate. Fleas will gladly hitch a ride on your pet into your house. And all it takes is one fleabite (specifically the flea’s saliva), to set o! a full-blown skin allergy. They may scratch their sides and neck or even lick their paws until they’re red and painful.